Our membership list is currently full and we will only be taking new members if places become available. In the meantime, you're welcome to contact us and ask that your name be added to our membership waiting list and we will invite you to come along to try us out when rehearsals start for the next concert. After one or two weeks of attendance we will invite you to a simple audition before your membership is confirmed. (Don't submit your membership form and fee, therefore, until you have passed your audition). Members of other choirs may be invited to join us for some concerts. Our membership list is currently full and we will only be taking new members if places become available. In the meantime, you're welcome to contact us and ask that your name be added to our membership waiting list and we will invite you to come along to try us out when rehearsals start for the next concert. Note that it is not an online form - you have to save a copy to your computer, type your information into it, then either email it to the treasurer or print it and hand it to him at rehearsal (detailsa are on the form). Note that because you will need to do a simple audition, don't pay your fee until after you pass the audition. Email or phone us if you've got any queries: Contact us for details. 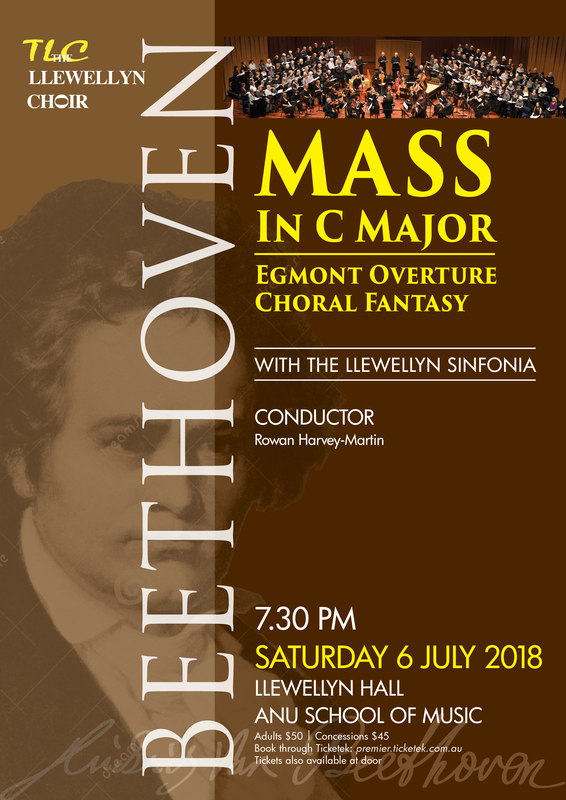 From time to time we invite guest singers to join us for major works; examples in the last few years include Elijah, St Matthew Passion and Verdi's Requiem. We will advertise these opportunities when they arise. Guest singers pay a reduced membership fee just to cover the particular concert, but this can be upgraded to full membership at any time. We rehearse on Tuesday nights from 7.30pm, at the ANU School of Music, usually Level 5, Lecture Room 3. The Music Director will invite you to audition soon after joining, to determine your voice type and range and into which section of the choir your voice fits (Soprano, Alto, Tenor and Bass). The audition is straightforward and only takes a few minutes. You will be asked to demonstrate that you can sing in tune, have a sense of rhythm and have some music sightreading ability. If you are already a member and want to renew your annual membership, go to the Renewals section on the Members page.